Our Casa Herbalife program provides life-changing nutrition to children in need. Here are just a few of the stories of children whose lives were changed as a result of the good nourishment, care, and nutrition education they received from our Casa Herbalife program. Kugo came to Acres of Love malnourished and abandoned by his mother. At four years old, he couldn’t verbally speak and had missed many of his developmental milestones. Staff and volunteers gave him around-the-clock care and the nutrition he needed to grow healthier. After many months in this safe and loving community, Kugo was ready for a permanent home. 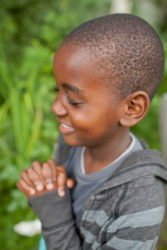 He was adopted into a compassionate family who will help him continue to thrive and enjoy a happy childhood. 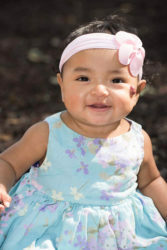 Ester Keyla came to the Nutre Hogar Recovery Center as a four-month old baby girl. She was malnourished and had contracted bronchitis and scabies. She was also diagnosed with some serious motor development deficiencies. The Recovery Center staff immediately gave her the medication and dietary treatment she needed. During her stay, she made steady gains in both her overall health and motor development. Today, she is an active, mobile, smiling, vocal baby girl. Kim Woo Hyuk suffered from childhood obesity that was holding him back in many areas in his life. When he came to HaeSim Won, he enrolled in nutrition and fitness programs and received the support and encouragement to help him on his path to better health. In addition to a phenomenal nutrition and fitness program, Hae Sim Won in South Korea has a Healing Camp where children struggling with negative body images can develop confidence and self-acceptance. Hae Sim Won is dedicated to helping children reach their highest health potential and experience life in a positive way. At New Pathways for Youth Inc., mentors play an important role in supporting young people like Mia in setting and achieving their goals. For Mia, setting goals was not something familiar to her. She lived in instability and chaos, with many barriers to healthy eating and exercise. But Mia knew that she wanted to improve her health. With the support of her mentor, Mia set a goal to run a 5k. She committed to joining her mentor on Saturdays to exercise and together they trained and created a healthy eating schedule. In March, Mia participated in and completed her very first 5K run. Without her mentor and the support of this program, Mia may have never received the opportunity to make choices that positively impact her sense of self and health. Albergue Infantil provides children and adolescents with the essential pillars for their intellectual, emotional and social development: a healthy environment and access to adequate nutrition. The menus at Albergue Infantil Los Pinos, A.C. are prepared according to the specific needs of each child. These prepared meals keep children physically and mentally fueled to make the most of their school, cultural and sports activities. These meals provide children and adolescents with the necessary nutrition to overcome and prevent health conditions or malnutrition that would otherwise hold them back.